A beautiful everyday-bag, ideal to carry your daily necessities. 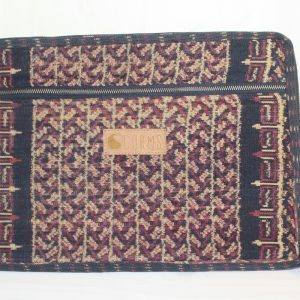 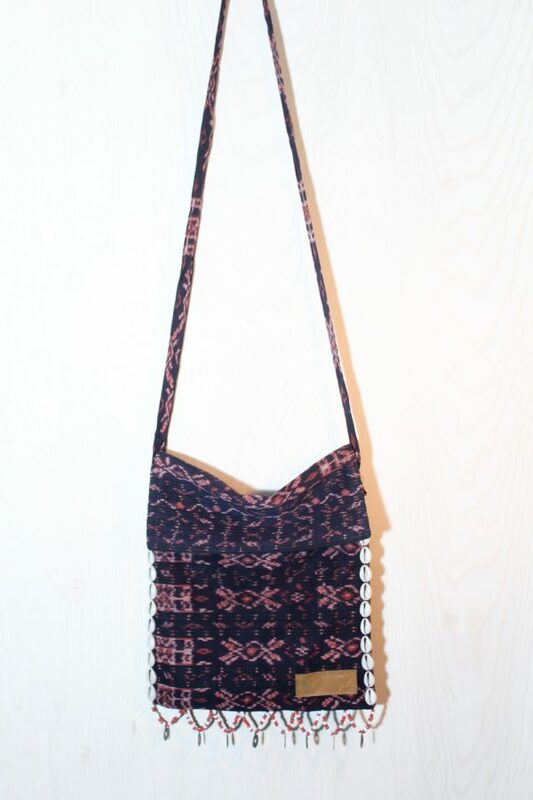 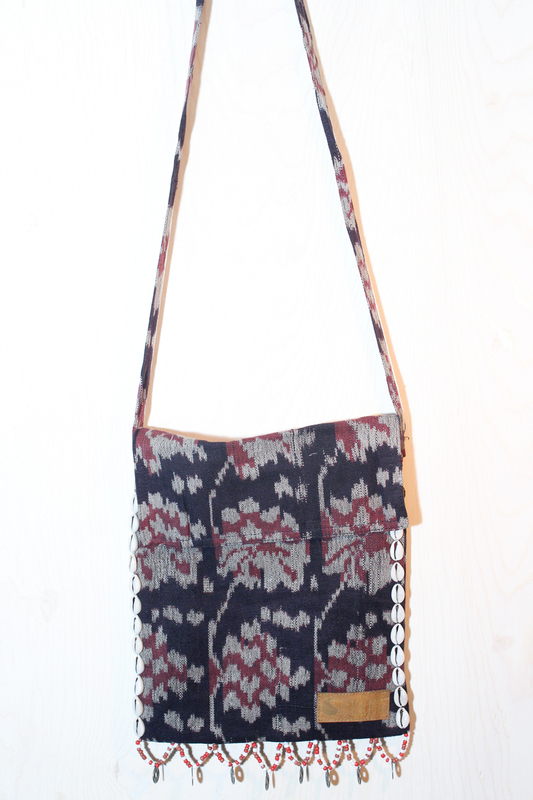 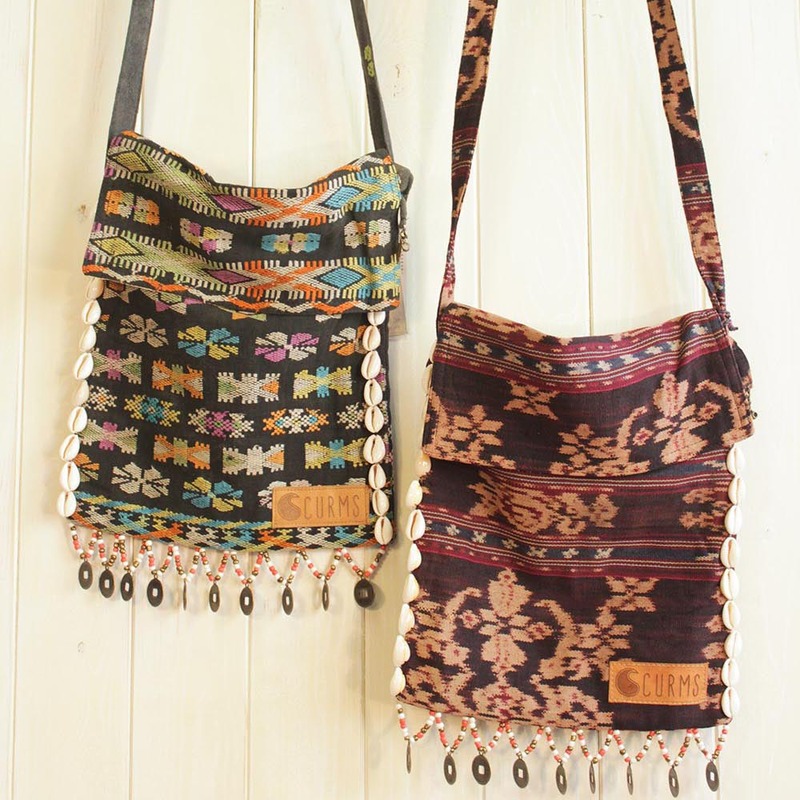 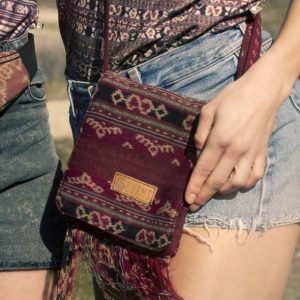 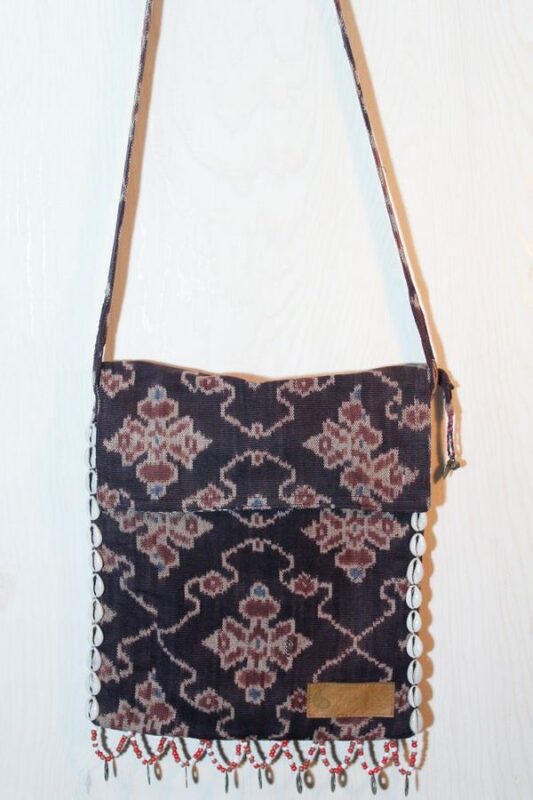 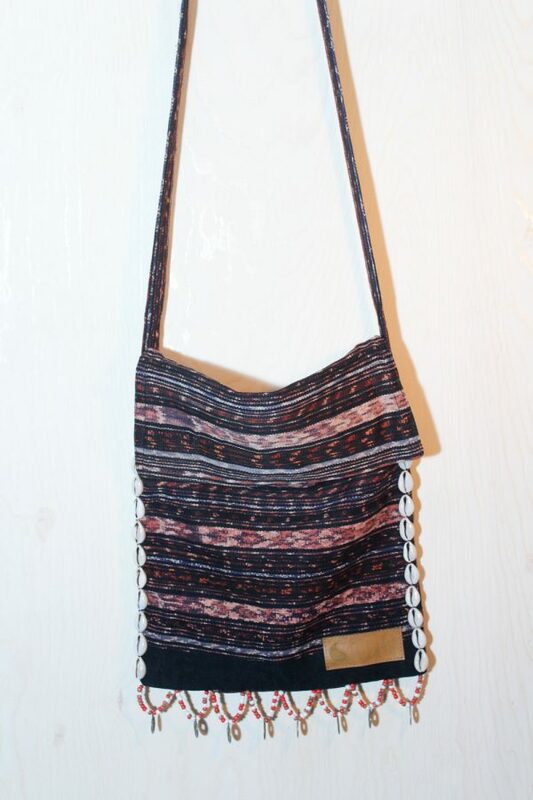 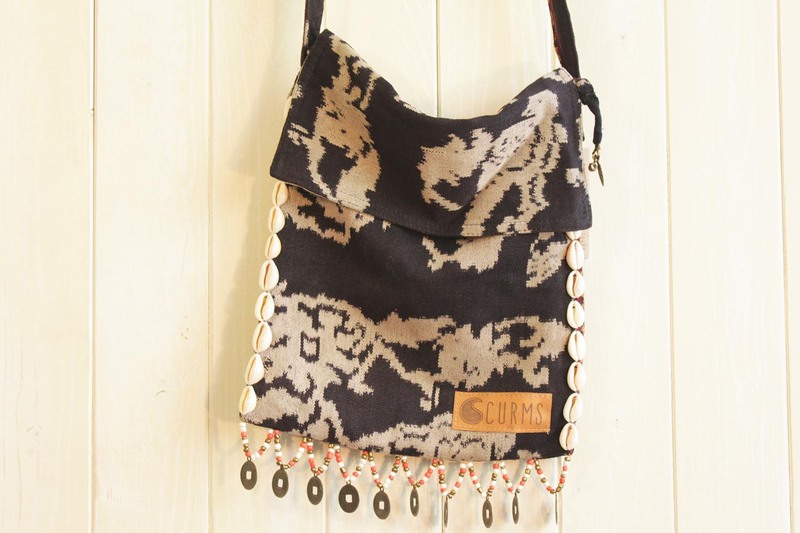 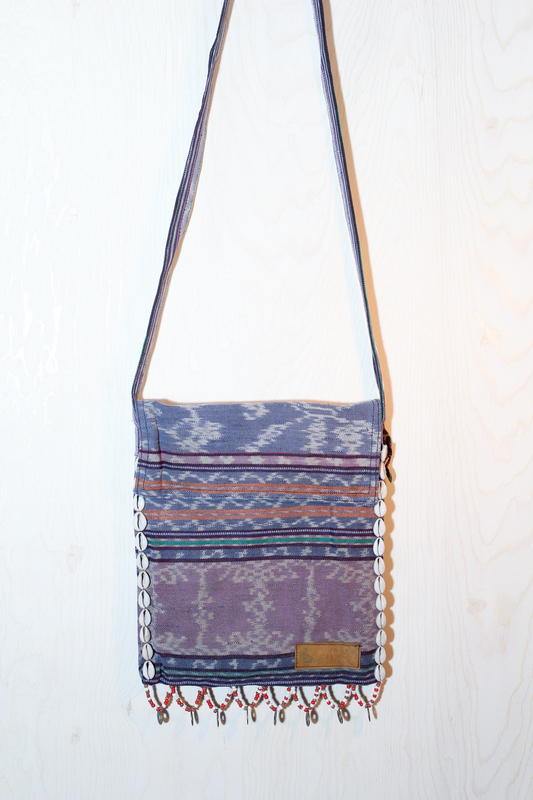 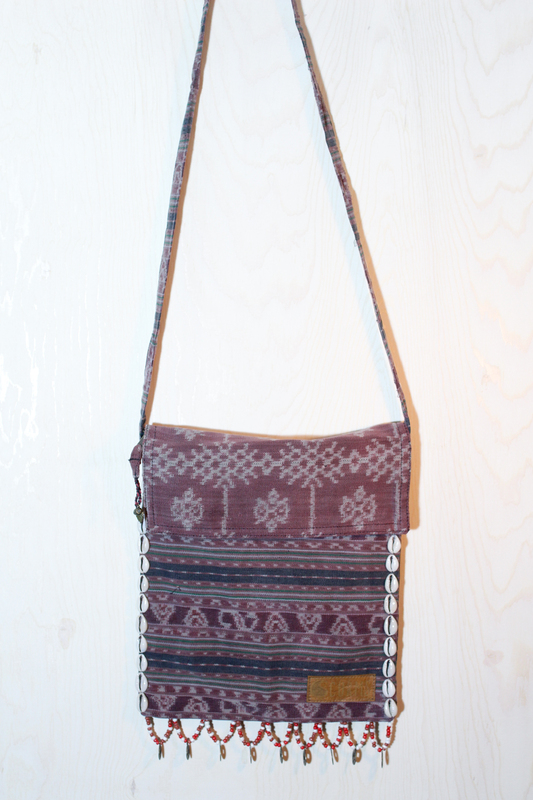 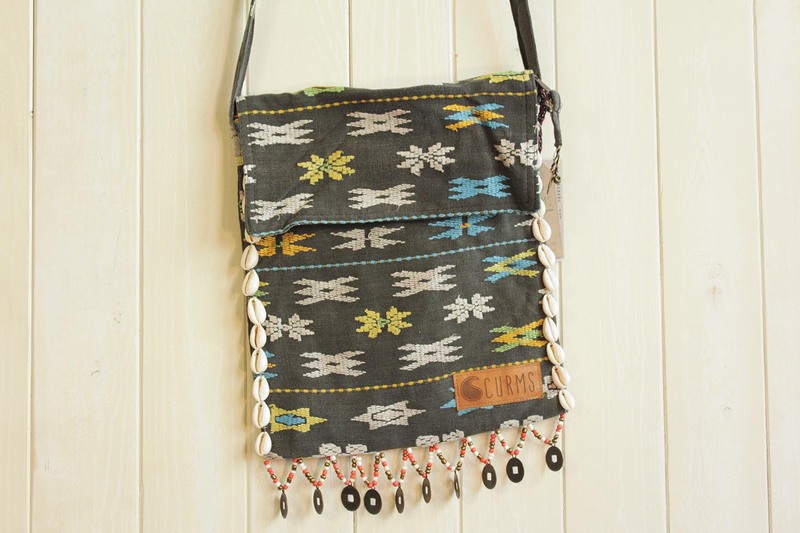 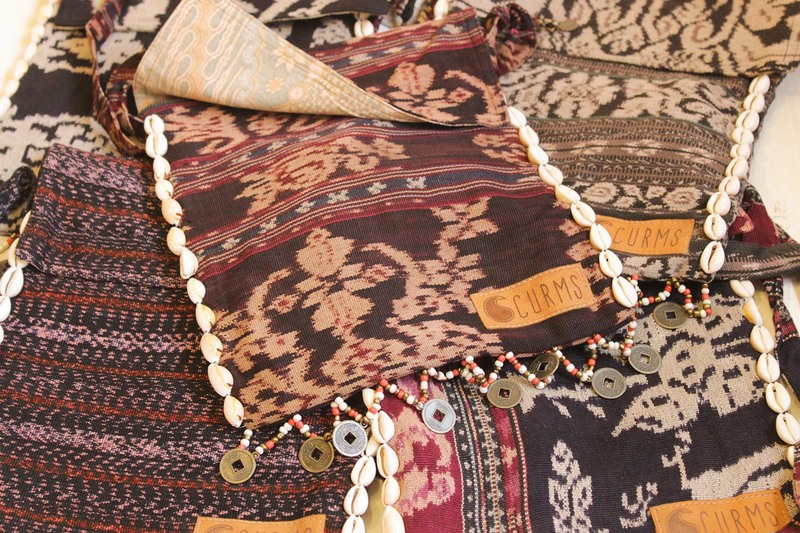 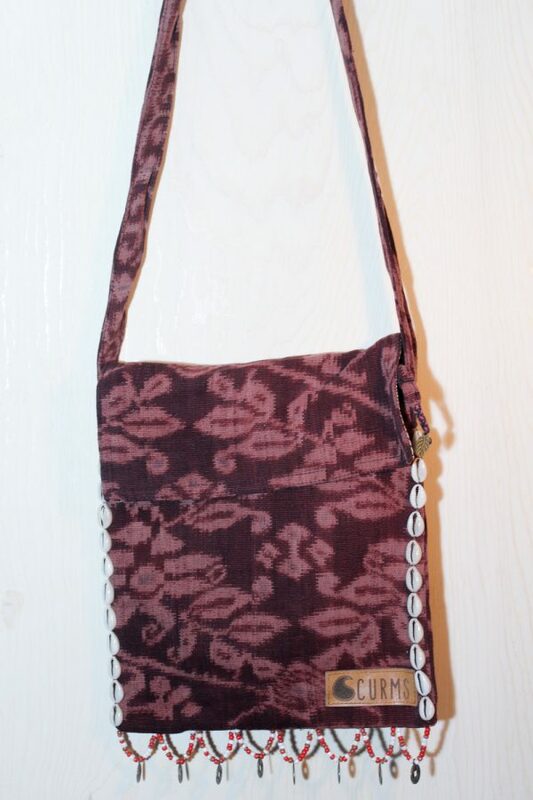 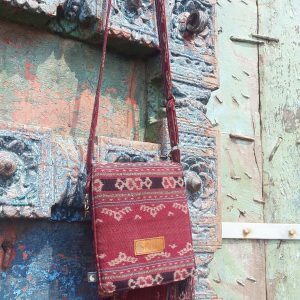 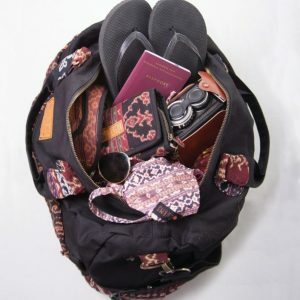 This shoulder bag is made of vintage ikat fabric from Flores, from two different area’s, Sikka district and Manggarai. 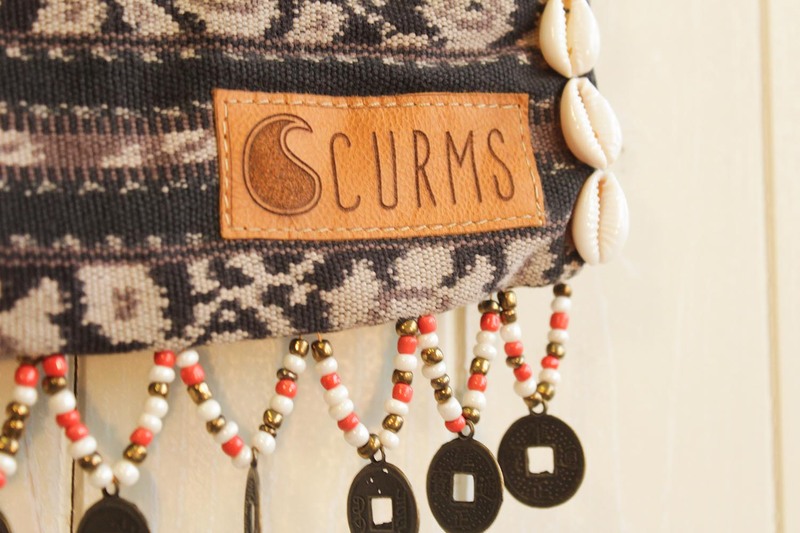 Decorated with cowrie shells and Chinese coins of Fortune. Chinese coins of fortune have become very popular in Indonesia and were used by Chinese emperors to strengthen finances, attract luck, happiness and prosperity. 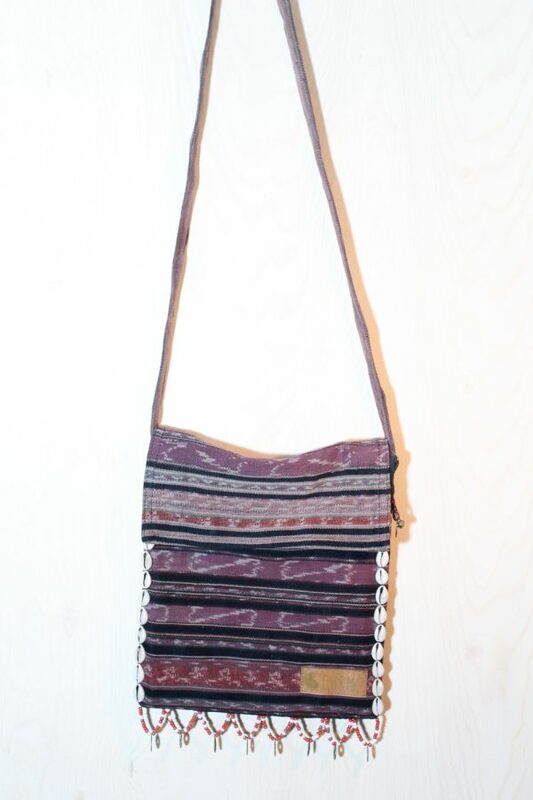 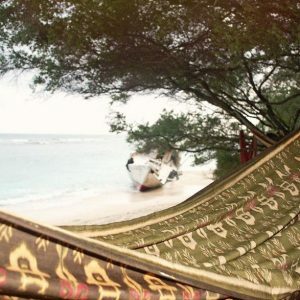 The ikats we use are from Manggarai in East-Nusa Tenggara. 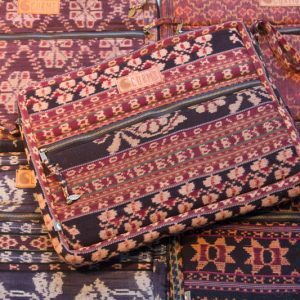 The people from Manggarai call their traditional ikat weaving ‘Songke’. 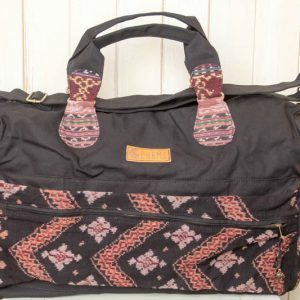 Songke is very colorfull, and has a unique theme, dominant in black.